The «SOMMERFUGLEN» (butterfly) is a fabulous show that grows through play and seriousness. In many cultures, the butterfly is associated with myths and rituals, and most people have a relationship with this marvelous creature that creates both wonder and joy with its beauty and its way from larva to butterfly. The different stages of butterfly development remind us of the different stages of human life and become a picture of unfolding their own wings, making their own choices and finding their place in a changing world. 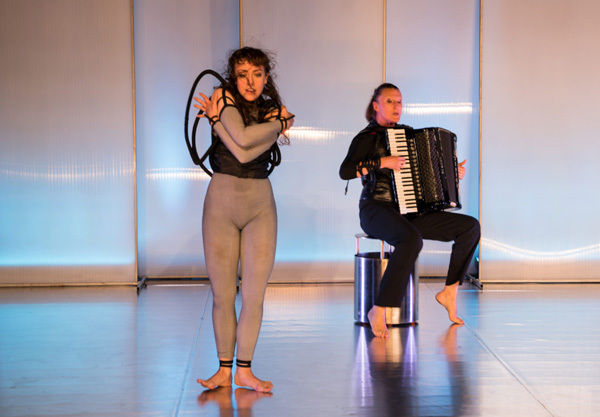 The «Butterfly» is a performance created in collaboration and process with the two artists, where the effort to find new ways into motion and sound is central. Trailer-Sommerfuglen from Elin Osjord on Vimeo.